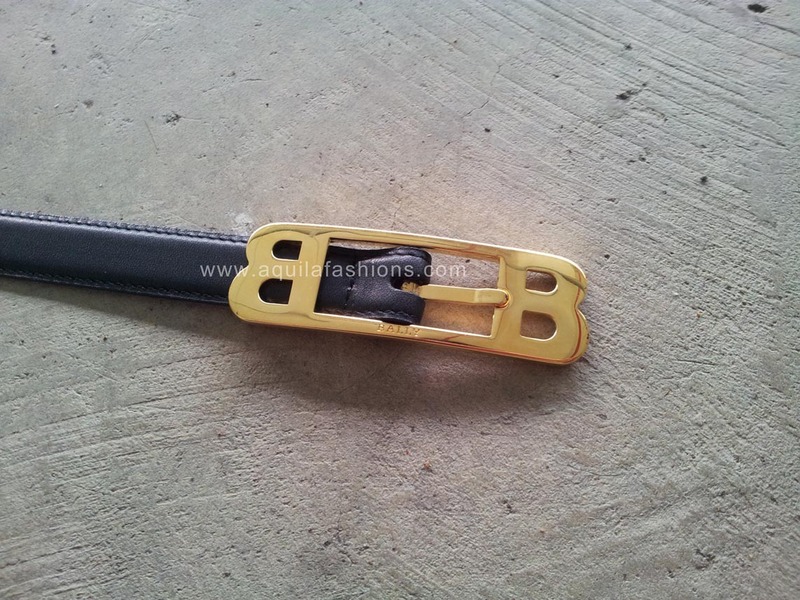 Bespoke custom leather belt strap for Bally buckle and match shoes! Came a really cool middle aged gentleman with a really cool Bally belt buckle! 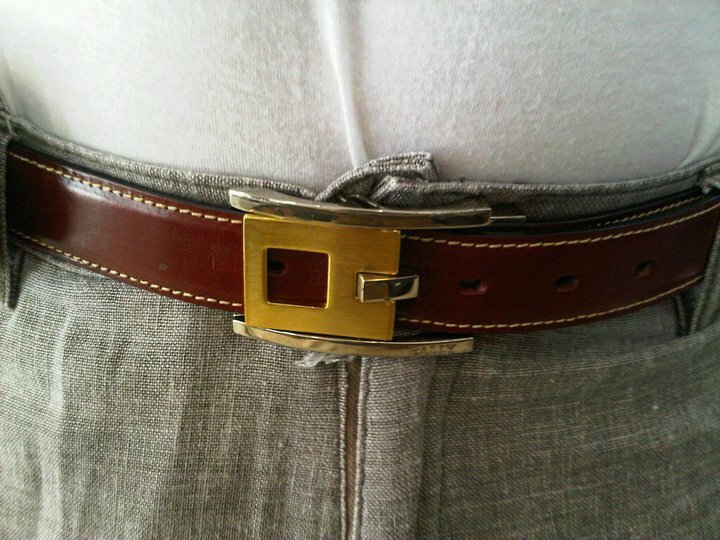 It’s been a few years and I can’t remember how this buckle fastens the belt! But I definitely remember that the mechanism was way coooool! Anyhoo, his belt was all tattered and torn and he happened to chance upon us! So there we go, a nice red bespoke custom leather belt that contrasts beautifully with his gold silver two tone Bally belt buckle! White polo tee, red belt, grey pants and a matching pair of shoes to go! I’ll leave you to imagine the colour of his shoes and decide for yourself what colour shoes is best to go with this dapper outfit! Customize your full-grain leather mens belts to your branded buckle by following the steps at our belt strap replacement page.